Roxbury Township Welcomes Your Business! On behalf of the Roxbury Township Council and the Economic Development Committee (EDC), welcome and thank you for your interest in our amazing Township, which is comprised of six great communities Berkshire Valley, Kenvil, Landing, Ledgewood, Port Morris, and Succasunna. This site offers an abundance of valuable information in order to introduce you to the many benefits of working, living, and doing business in Roxbury, the gem of Morris County (the nation’s 7th most affluent county). 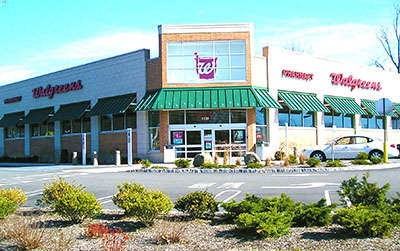 Roxbury Township is an ideal place for your business. Conveniently located in Northern New Jersey at the intersections of Interstate Highway 80, and State Highways 46, 10, and 206, we are a short drive to Interstates 287 & 280, and State Highways 24 and 202. We maintain a quality infrastructure that helps businesses succeed, and we offer several prime locations with flexible and diverse office-based manufacturing and ware-housing opportunities with access to rail transportation. Roxbury’s diverse population allows it to host hundreds of companies including world-wide corporations, start-up businesses, local retailers and service firms. In addition, we offer numerous undeveloped tracts of land including the largest undeveloped land tract for development in Morris County. The EDC serves as an ally for companies seeking a new location, as well as those already operating in Roxbury. It is comprised of local business owners and long-time Roxbury residents, who have tremendous pride in their vibrant community. We benefit from the insight and wisdom of three members of the Township Council, the Township Manager, and several members of the administrative staff, who are intricately involved in every EDC meeting, event and initiative. We invite you to utilize our user-friendly and interactive map of available commercial properties, plus the free resources we make available to further support the businesses operating in Roxbury. Please feel free to contact the EDC so we can explain why Roxbury is the right location for your business, and can guide you in finding the optimal site for your company. Roxbury is a great place for business and raise a family. We are a dynamic and growing township! Roxbury Township's Planning Board unanimously approved the Ledgewood Commons application. The open-air mall will feature a State-of-Art retail Walmart store that is optimized for internet order pickups plus pharmacy and grocery online orders for pick-up. New stores coming to the mall include Starbucks, DSW, Ulta and 24 Hour Fitness. Barn & Nobles will move to a new location. Men’s Warehouse, Marshals and Ashleys will be staying as well. Developing and maintaining the information, literature and data to assist businesses and industries in their expansion and/or relocation of businesses and industries. Encouraging the economic well-being and expansion of the existing businesses and industries located in the Township. Reviewing Township ordinances, policies, and practices to determine their impact on existing and proposed businesses and industries and to make recommendations to the appropriate Township agency for their revision if these revisions would facilitate the economic expansion of the Township. Serving as an ombudsman between the municipality, its agencies and officials and the business and industrial interest through the investigation of areas of mutual concern, the reporting of the facts surrounding areas of interest, and when necessary, the mediation or opposing viewpoints. Serving as communication channel between the business and industrial economic interests in Roxbury Township and the municipal government.